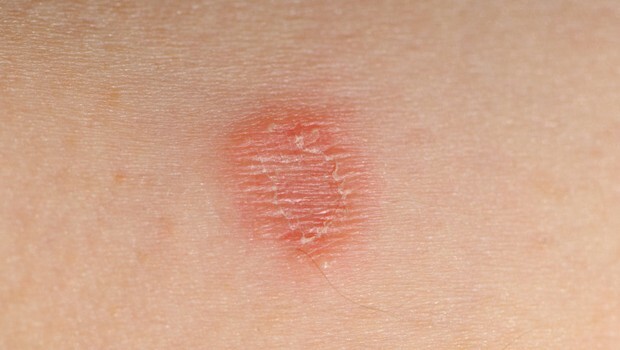 Ringworm is a common skin disease that occurs due to fungal growth on the skin. The disease is extremely contagious. As the fungus grows, it forms a ring like pattern and therefore it is known as ring worm. It generally occurs over nails and on scalps. Apple cider vinegar are mainly used as a dress for salads and as much taste they add to the salads, they have tremendous health benefits. It allows you to get relief from several health problems such as blood pressure. 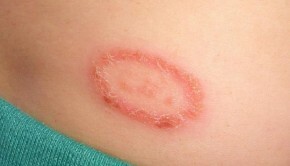 It is also a tremendous home remedy for getting rid of ringworm. The best way to use apple cider vinegar for treating ringworm is to dip a cotton ball into apple cider vinegar solution and apply it straight on the affected area for about 3-5 times in a day till the worm infection disappears completely. Usually, apple cider vinegar treats ring worms in about 2-3 days. Garlic is a popular herb and is well known for its antifungal properties. This herb is used in a wide range of herbal products for treating different kinds of health conditions including ring worms. Peel off the outer covering of the garlic cloves and cut it to small slices. Place the garlic pieces directly on your skin part affected by the ring work infection and keep the body part covered with a band-aid or a piece of cloth. Let it remain covered overnight. With a couple of days, you would see a drastic difference in your skin condition. If you do not like your body part to be covered, you can simply rub the juice of the garlic cloves directly on the affected part to get relief from the infection. Tea tree oil is being used for several decades for treating various skin related problems including rashes and ringworm. Today, it is used is as one of the most potent ingredients in all cosmetic products including hair oil and shampoos. This oil also has a glorifying history as being used as the best remedy for treating cuts, infections and burns. The best way to use tea tree oil is to dilute the oil with water and mix it in a bowl. Dip a cotton ball in the solution and dab the solution over our affected area for about 3-4 times in a day. This herb found in all kitchens world over is famous for its anti-septic and anti-bacterial properties. Several health experts suggest using turmeric paste for treating ring worms. Apply the paste directly on the skin over the affected area till the infections signs vanish completely. It is well known for treat burns but it is also equally effective natural remedy for ringworm and several other skin problems. Extract the juice of aloe vera leaves and apply it straight on the skin. Within few days you would notice that the infection signs are diminishing rapidly. While there are many OTC drugs available in the market to treat ringworms, it is best to use the above natural methods since there is no risk of side effects.